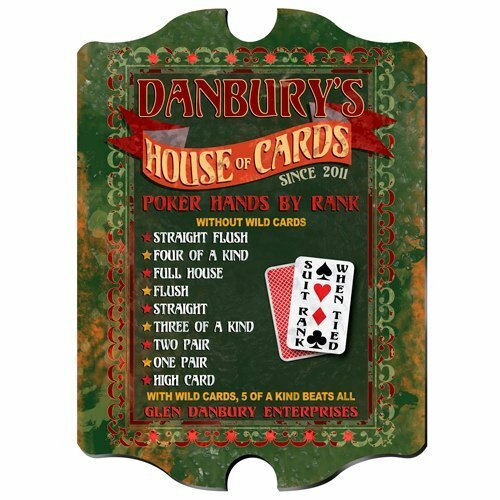 Welcome guests to your "House of Cards" with our fun vintage pub sign. Whether they enjoy a game of Five-Card Stud or the ever popular Texas Hold 'Em, this convenient sign will settle many arguments before they begin. Hands are listed by rank so there are no questions over who holds the winning hand! Our colorful sign is personalized with first and last name and year established.